LONDON — Value Retail Management Ltd., which runs designer outlets across Europe, has partnered with Shanghai Shendi Group, which operates Shanghai International Tourism and Resort Zone on Shanghai Village, a new shopping destination, which will debut on May 19. 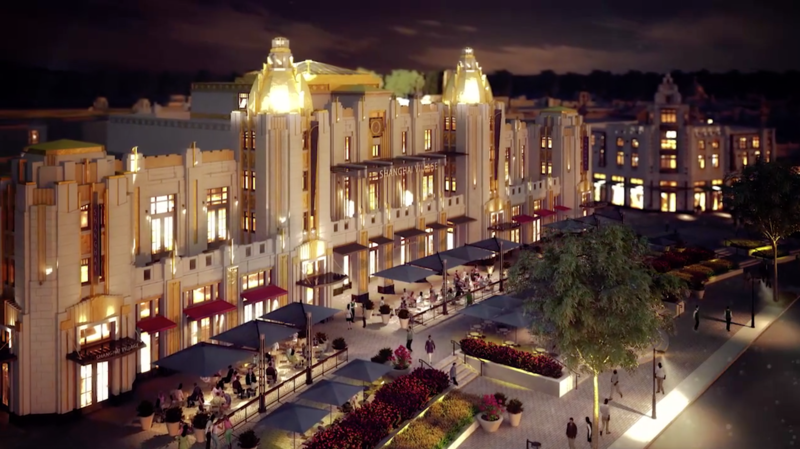 Situated in Pudong New Area and neighboring the Shanghai Disney Resort, the 592,015-square-foot discount shopping complex will feature 140 shops, dining establishments and gallery spaces with river views. The center’s design will take its cue from 1920s Art Deco architecture, from cities including New York, Paris, Milan, Vienna and Shanghai. Services will include hands-free shopping, concierge services, valet parking along with lounges, meeting rooms and exhibition spaces. This is the second discount complex in China, with the first launching in Suzhou in 2014. This opening will be as the eleventh unit under Value Retail, which operates in Europe in nine cities including London, Paris, Milan, Barcelona, Madrid, Frankfurt, Munich, Dublin and Brussels.